Ever have those moments where you say I don’t want to use a whole apple for caramel apples because no one hardly eats an entire apple? I do. 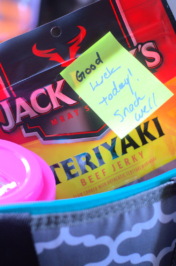 Though I know my other half would devour a whole one but most people do not. It’s such a waste. I thought, what if there was a way to make mini caramel apples on lollipop sticks that each person can dip it into whatever they choose. 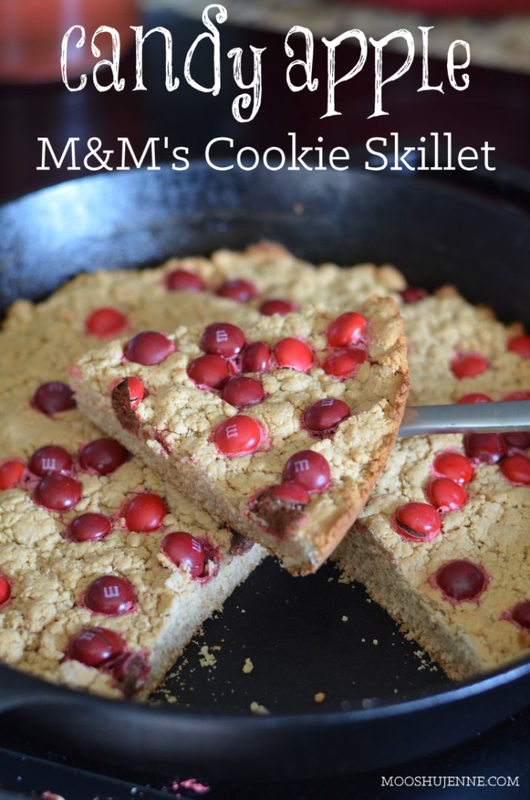 And this Candy Apple M&M’s Cookie Skillet for something easy to serve up with a quickness. For fun we put together a Fall Apple Party with caramel apple bites and candy apple M&M’s cookie skillet. Simply cut the apples into slices and you can dip them into whatever you like. 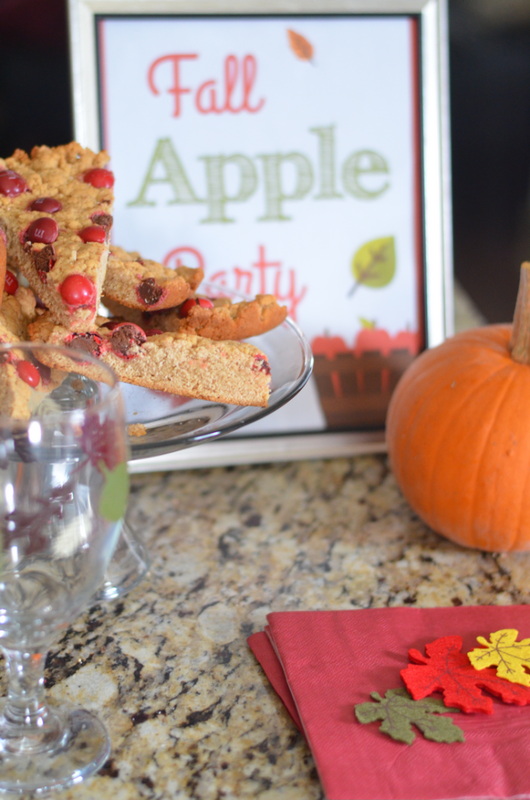 It’s the perfect dessert or appetizer for a fall apple party #FlavorofFall. It’s a good way to make caramel apple bites for a fall football gathering or even a trunk or treat. With the weather drop here in Texas I’ve done nothing but crave apple recipes. To pair with the apples you can have a slow cooker cinnamon apple wassel and candy apple skillet cookie. 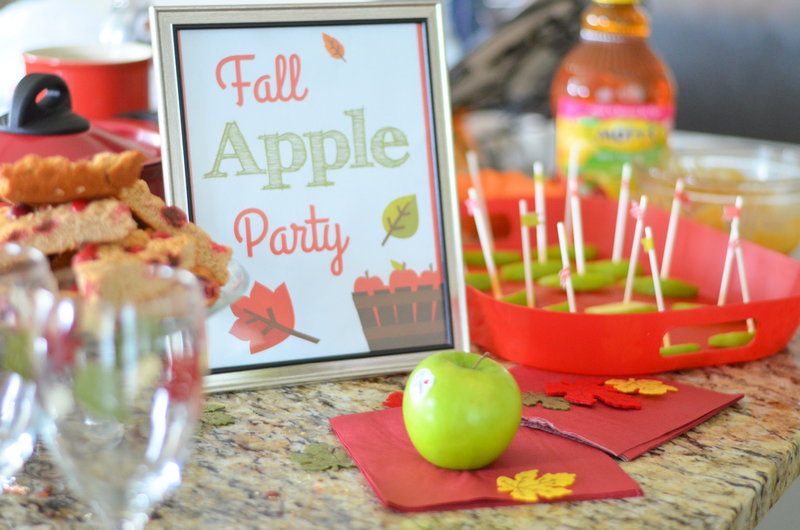 Add some printable party decor then you have the cutest Fall apple party ever! 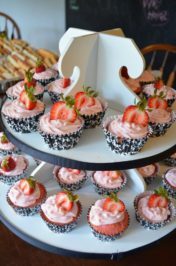 We set it up on a Monday evening when we had a few friends over to have dinner and dessert. We watched spooky TV shows and movies to accompany the cooler fall weather we had roll in. 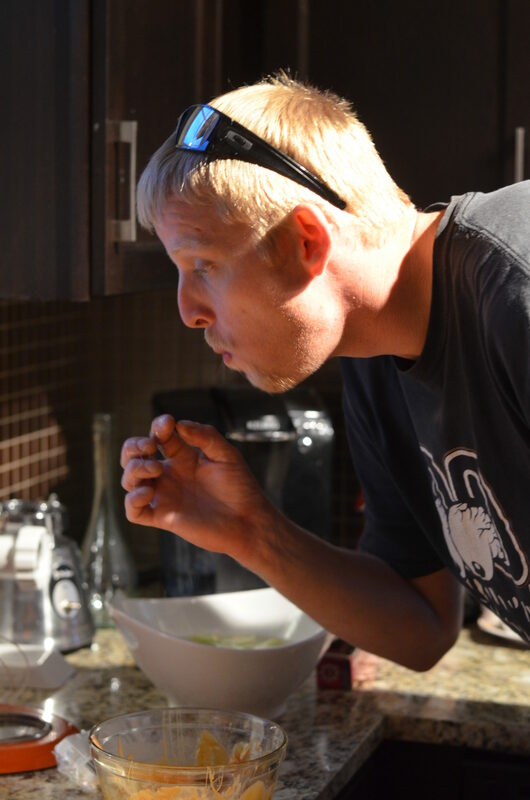 Sipped on the cinnamon apple wassel made out of Mott’s apple juice with a few spoonfuls apple sauce in it. Just place 64 oz Mott’s apple juice in a slow cooker, add in 5 tablespoons apple sauce, one sliced orange, and two sticks of cinnamon. Put on low. Once it’s warm it’s ready to serve. Now about the recipe! 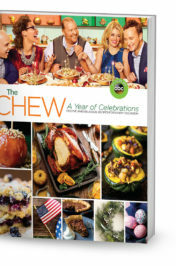 I would love to know what you make for your own Fall parties. Candy apple M&M’s mixed with a vegan cookie dough for a delicious treat. Preheat oven to 350 degrees F. In a mixer bowl, add in brown sugar, peanut butter, and yogurt. Mix well. Add in flour and baking powder. Mix well until it looks like a crumble crust. 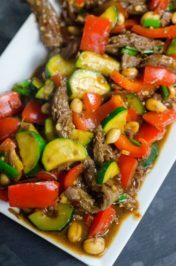 Put one tablespoon oil into the skillet and rub sides and bottom with a paper towel. Press cookie mixture evenly into the skillet. Press ½ cup of M&M’s into the top. Bake for 25 minutes. Pull and let cool. 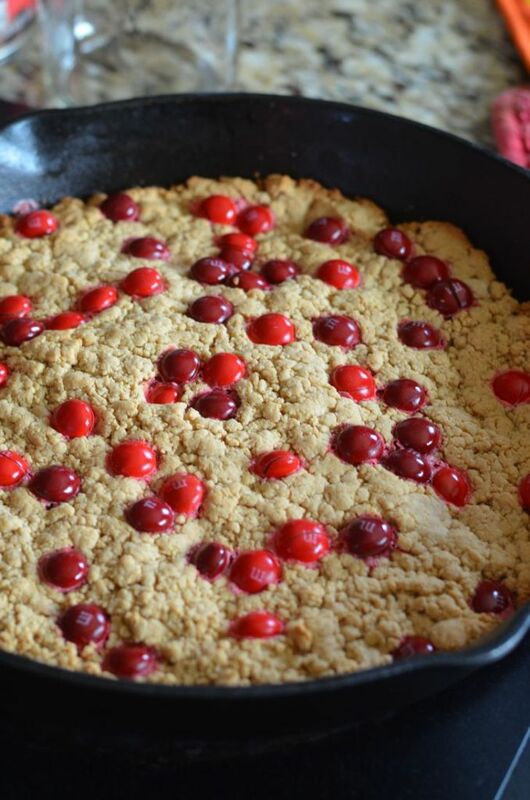 I pinned your Candy Apple M&M’s Skillet Cookie, it looks magnificent and I am always looking for fun things to prepare in my cast iron skillet. What a fun party! I love the apple slices on sticks for dipping, such a cute idea! Fall is my favorite season, and your pictures look so fun!